Commission Committee, Dec. 10 - 9 a.m.
Commission Regular, Dec. 13 - 9 a.m.
Engineering Services Interviews – Pea Ridge Connector, Dec. 13 - 1 p.m.
Commission Special – Rezoning Meeting, Dec. 13 - 6 p.m. Courthouse Design - Build Proposal Interviews, Dec. 18 - 9 a.m.
Bagdad Architectural Advisory Board, Dec. 19 - 8:30 a.m. Courthouse Design – Build Team Selection, Dec. 19 - 9 a.m. Parks and Recreation, Dec. 26 - 5:30 p.m. The following Santa Rosa County offices will be closed Mon., Dec. 24 and Tues., Dec. 25 for the Christmas holidays. 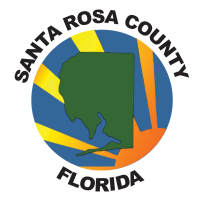 Santa Rosa County Board of Commissioners including the library system and animal shelter. The Central Landfill will be open Mon., Dec. 24 from 7 a.m. to 5 p.m.